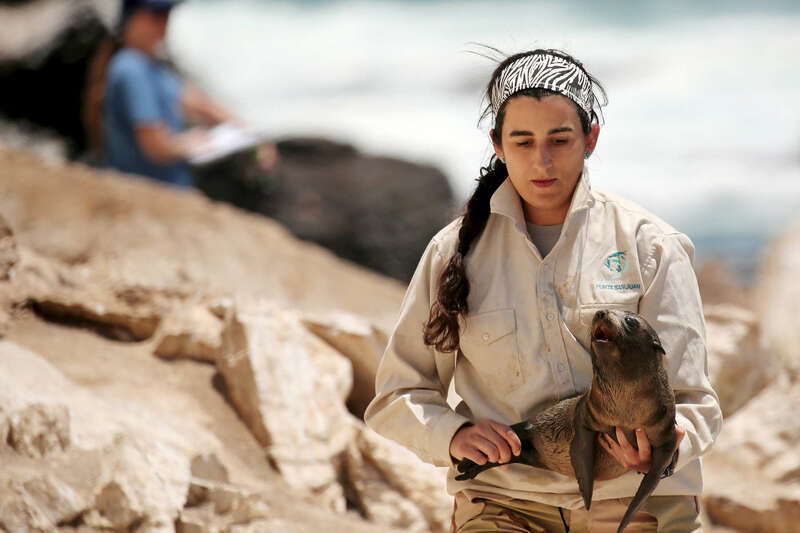 Susana Cardenas, the director of the Punta San Juan Program, carries a Peruvian fur seal pup to be weighed. Cardenas first came to Punta San Juan as a student in 2003, then worked as a research assistant there before she left in 2008 to work on her master's degree in zoology at University of British Columbia in Vancouver. In 2011 the Chicago Zoological Society hired her as its Peru representative.